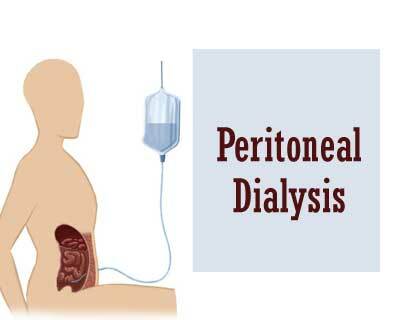 Patients are generally referred to a surgeon from a nephrologist for catheter placement once the decision is made to initiate peritoneal dialysis. Utilizing PD as a home therapy affords greater patient autonomy and quality of life than in-center hemodialysis (HD).. Not surprisingly, patient satisfaction has been shown to be significantly higher in PD patients. In addition, PD can be advantageous in the pre-transplantation period and prolong residual renal function compared to HD. It also leads to a slight survival advantage during the first two years of renal replacement therapy and there is an improvement in anemia of kidney disease (significantly lower requirements of erythropoietin). However, there are no randomized controlled trials comparing the two modalities. Finally, peritoneal dialysis may be favored in patients with vascular access failure, intolerance to hemodialysis, congestive heart failure, long distance from dialysis center, and peripheral vascular disease and bleeding diathesis. Peritoneal dialysis may also be preferred by patients with the possibility of renal Transplantation in the near future, needle anxiety and active lifestyle. In 2014, Society of American Gastrointestinal and Endoscopic Surgeons (SAGES) published the Guideline for Laparoscopic Peritoneal Dialysis Access Surgery. A need for preoperative bowel preparation has not been conclusively demonstrated and further is needed before a recommendation can be provided. When inserting the PD catheter through the abdominal wall, the deep cuff should be placed inside the rectus sheath. ( Strong recommendation).